On December 8, 2014, the American Bankruptcy Institute’s Commission to Study the Reform of Chapter 11 (the “Commission”) that we co-chaired issued its Final Report and Recommendations (the “Report”). The Report, which runs almost 400 pages supported by about 1,200 footnotes, recommends more than 200 discrete policy reforms. The Commission, and its thirteen advisory committees, consisted of attorneys, financial advisors, judges, academics and other insolvency professionals; the practitioners on the Commission and the advisory committees represented a diverse client base with an equally diverse set of policy viewpoints, including secured creditors, claims traders, unsecured creditors, unions and other employee interests and debtors. The Commission’s deliberations conscientiously considered all of those viewpoints, and the Commission was at all times sensitive to the impact of any of its recommendations on the credit markets in general and the market for credit extensions to distressed businesses in particular. Despite that balanced approach, a minority of critics has asserted that adoption of certain of the Report’s recommendations would necessarily lower secured creditor recoveries. That criticism ignores what the Report actually says, and certainly ignores its intent. The Commission’s recommendations, taken as a whole (rather than cherry-picked), are decidedly lender-friendly. The minority chorus has particularly focused on the Commission’s recommendations concerning (a) the definition of adequate protection; (b) section 363 sales and related DIP financing provisions; and (c) redemption option value (“ROV”). This article will address each of those recommendations, and discuss why none of them should negatively impact legitimate secured lender recoveries. As a preliminary matter, however, it is worth highlighting what the Commission did not recommend. While the issue was discussed at length at the Commission’s field hearings, the Commission did not recommend that lender collateral be automatically surcharged for costs of administration or to provide any form of guaranteed return to junior creditors; “pay to play” as a statutory requirement was decidedly rejected as a concept. (Section 506(c) and the “equities of the case” exception of section 552 would remain in the Code and would, indeed, be non-waivable). In addition, the Commission did not recommend any limitations on credit bidding beyond those in the existing statute, despite a call by many to do so (including suggestions to limit the amount of the credit bid to the value of the collateral or the consideration paid to acquire the underlying debt). In both instances, the potential negative impact of the suggested provisions outweighed the possible benefits achieved. 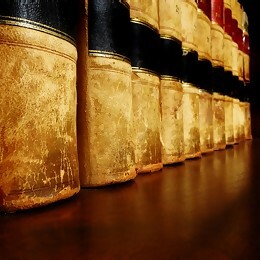 On adequate protection, the Commission did recommend that, for adequate protection purposes, the secured party’s collateral should be valued at “foreclosure value.” In other words, what must be adequately protected is the secured party’s ability to achieve the amount that would be obtained at a properly conducted foreclosure of its liens and interests under applicable non-bankruptcy — usually state-- law, net of the costs to achieve that amount. Note that the standard is not “liquidation value” and that difference is critical. Depending on the scope of the secured lender’s rights in collateral and the types of collateral covered, “foreclosure value” could lie on a continuum between “forced-sale value” and going concern value (in the case of a creditor with an all assets lien on collateral located in a single state, for example). This approach is consistent with the entire purpose of adequate protection. Adequate protection is intended to protect against the diminution of value of collateral which results from the fact that the creditor is stayed from exercising its remedies under applicable non-bankruptcy law and the debtor’s use of that collateral during the stay period. Of course the remedy that is stayed is foreclosure under applicable non-bankruptcy law, at which foreclosure, of course, the secured party would receive foreclosure value. Accordingly, the secured lender is assured of receiving exactly what it would receive for the collateral outside of chapter 11. Clarifying this standard will allow the debtor to use cash collateral and/or to finance its case, while at the same time providing protection of the secured lender’s rights (and expected return) under state law. The Commission’s recommendations also contain additional secured lender safeguards in this context. First, if the adequate protection is provided by the cushion that is alleged and found to exist between the value obtainable at a section 363 sale of the collateral and foreclosure value, and the secured creditor is later entitled to relief from stay, the secured creditor can elect to have the trustee or DIP sell the collateral under section 363 rather than be forced to conduct a foreclosure sale under applicable nonbankruptcy law, thus permitting the secured creditor to obtain the benefits of the section 363 sale. Second, while foreclosure value is all that must be adequately protected at the outset of the case, if the debtor wishes to confirm a plan, absent a different deal with the lender, the plan must provide to the secured lender the full reorganization value (usually going concern value) up to the full amount of its allowed claim. The same is true in connection with the sale of the debtor’s assets in a going concern transaction under section 363. Both of these safeguards are designed to insure, and on their face do insure, that the recoveries of secured creditors will not be diminished by the Commission’s proposed clarification of the adequate protection standard.